As explained by Pastor Andy Stanley, there are many religions and belief systems which embrace a book, a prophet or a set of teachings but the Christian faith uniquely hinges on one historical event — the resurrection of Jesus Christ. Jesus’ resurrection verified everything Jesus said and everything he claimed to be. [Andy Stanley, One Simple Truth, “The Resurrection: it’s Essential”, aired on GMC on 4/8/12 (www.northpoint.org)] Without question, Jesus’ resurrection lies at the very heart of the gospel message. As forthrightly stated by the apostle Paul, if Jesus was not raised from the dead, the faith of Christians is in vain and Christians are to be pitied because they are fools (1 Cor. 15:13-19) (more>>). As phenomenal as the claim of Jesus’ resurrection is, it is not something Christians are required to accept by blind faith, i.e., faith without a reasonable basis. Rather, as confidently maintained by Christian apologists, there are good reasons to believe God exists (more>>) and if God exists then it is reasonable to believe God could supernaturally raise Jesus from the dead. Christian apologists further maintain the historical evidence reasonably demonstrates God did raise Jesus from the dead (more>>). As discussed in this article, one of the lines of evidence Christian apologists rely on to demonstrate a reasonable basis for belief in Jesus’ resurrection, is the historical evidence that Jesus’ tomb was found empty. In Jesus’ day, it was Jewish custom to visit a loved one’s tomb about a year after burial to collect the bones and place the bones in an ossuary. If Jesus’ body was in the tomb, his body would have been discovered during this process and any deception about the tomb being empty would have been exposed as a fraud [See, J.P. Moreland, Scaling the Secular City, pg. 166 (1987)] The exposure of such a fraud would have squelched the sudden rise of Christianity which was foundationally based on the belief Jesus had been raised from the dead. The above facts, individually and collectively, provide substantial evidence that Jesus’ tomb was indeed found empty. As summarized in this article and detailed in the linked articles identified below, Christian apologists maintain none of the alternative explanations of the empty tomb adequately explain the totality of the historical record and none of the alternative explanations are rationally compelling. Since there are good reasons to believe God exists (here>>) and, therefore, could have supernaturally raised Jesus from the dead, and since Jesus’ resurrection is the one explanation which explains all the historical evidence (more>>), Christian apologists maintain a Christian’s belief that God supernaturally raised Jesus from the dead is a rational belief. According to the swoon theory proposed by some skeptics, the reason Jesus’ tomb was found empty was because Jesus only appeared to be dead on the cross and after he was put in the tomb, Jesus revived and got out of the tomb alive. In support of this proposition, skeptics point to the fact Jesus was offered some liquid on the cross (which they contend Jesus took and either accidentally or intentionally acted as an anesthetic making Jesus appear to be dead (see, Matt. 27:33-34, Mark 15:23, John 19:29-30). Swoon theorists also point out Pilate seemed surprised Jesus had died after only being on the cross six hours (see, Mark 15:42-45). Because of the difficulties associated with alleging Jesus’ disciples stole his body out of the tomb as set forth above (here>>), some skeptics propose someone other than the disciples could have stolen Jesus’ body. Some skeptics attempt to explain away the empty tomb on the basis that Roman or Jewish authorities moved Jesus’ body. According to this theory, when the disciples found the tomb empty, they simply presumed Jesus had risen from the dead. Some skeptics propose Jesus’ supposed tomb was found empty because Jesus’ body was never placed in the tomb because Jesus’ body was left hanging on the cross or thrown into a common grave where is was devoured by scavengers which is the reason the body could not be produced to discredit the claim of the disciples that Jesus had risen from the dead. Some skeptics propose the tomb was never found empty — the witnesses never went to the tomb to look for Jesus’ body but just assumed Jesus had risen from the dead. According to this proposition, Jesus appeared to some of the disciples in a spiritual form but they mistakenly believed Jesus had been physically raised from the dead and never bothered to look in the tomb to see if Jesus’ physical body was still in the tomb. Some question the account of the women going to the tomb because they maintain there was no reason for the women to go to the tomb with burial spices since the tomb had been sealed. 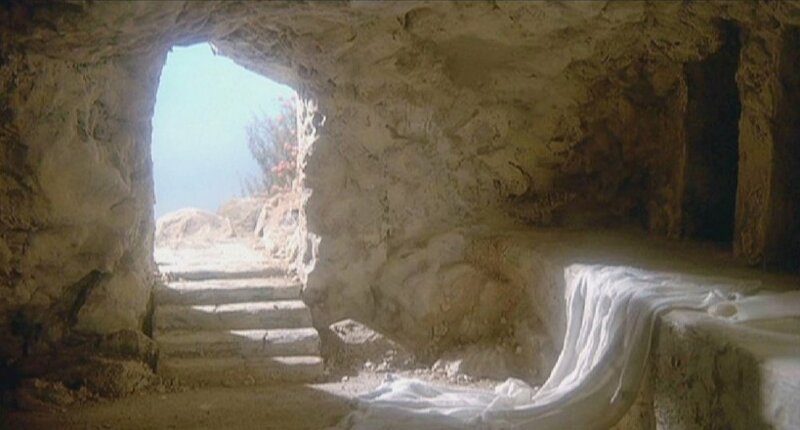 In support of the proposition that belief in Jesus’ resurrection is a rational belief, one of the lines of evidence Christian apologists point to is the historical evidence that Jesus’ tomb was found empty within days after his crucifixion and burial. In response, skeptics offer various alternative explanations to account for the historical evidence of the empty tomb. As set forth above, Christian apologists steadfastly maintain none of the proposed alternative explanations adequately explain the totality of the historical evidence and none of the theories are rationally compelling. Since there are good reasons to believe God exists (more>>) and God could have supernaturally raised Jesus from the dead, and since none of the proffered alternative explanations sufficiently explain the historical evidence of the empty tomb, Christian apologists maintain it is reasonable to rely on the historical record of the empty tomb as evidence of Jesus’ resurrection. The principle of Occam’s razor, which states simple explanations are always preferable to more complex explanations, only states one should not multiply causes beyond necessity. Occam’s razor can only be reasonably relied on to exclude the need for a supernatural explanation if a sufficient natural explanation can be offered (more>>). In this case, the evidence weighs against any of the alternative explanations offered to explain Jesus’ empty tomb. Consequently, Christian apologists maintain it is at least reasonable to look beyond such explanations for an explanation that adequately explains all of the historical evidence, including the explanation God supernaturally raised Jesus from the dead. Because there are good reasons to believe God exists and he supernaturally raised Jesus from the dead, Christian apologists insist it is not only unfair for skeptics to claim Christians are intellectual simpletons but it is intellectually dishonest to write off the resurrection as mere foolishness.